There are over 800,000 bicycles in Amsterdam (that's more bikes than people) and while you're vacationing there, you have to ride at least one of them! As one of the most cycle-friendly cities in the world, Amsterdam has got to been seen by bike — here's what you can't miss in Amsterdam. Want to do more than just travel through Europe? 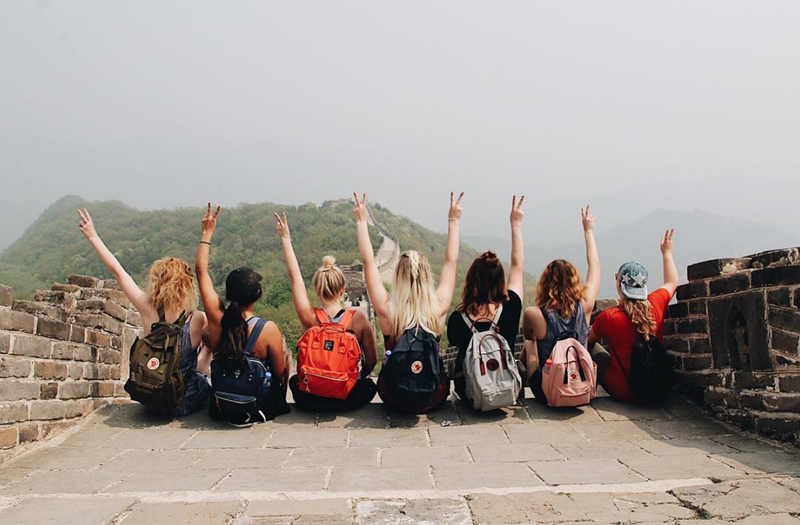 International Language Programs (ILP) lets you spend a semester volunteering in Europe, complete with vacation time. 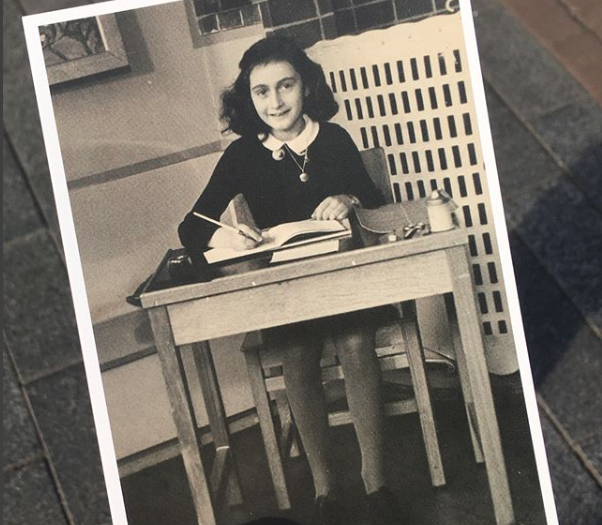 During WWII, after fleeing Germany because of persecution, Anne Frank and her family hid from the Nazis for two years at the Prinsengracht house. Today, the front of the house is a thought-provoking museum dedicated to showing the atrocities committed against the Jews during WWII. The back annex of the building has been preserved to help give visitors an idea of what life was like for Anne and her family as they hid from the Nazis. Pro Tip — You MUST buy tickets online if you want to guarantee yourself a visit. The wait lines can get horrendously long and you might not get a ticket if you just hop in lines even early in the morning. We suggest booking online here to beat the lines. Cost: 10 Euro (online tickets are available two months in advance, with a 0.50 euro surcharge. Worth it). Artist Vincent Van Gogh is from the Netherlands and no trip to Amsterdam would be complete without seeing the Van Gogh Museum. This particular museum houses several original Van Gogh pieces along with pieces from his contemporaries. It's an absolute must-see — we suggest spending a couple of hours here or longer if you're an art history buff. Hours: 9:00 AM - 7:00 PM, (9:00 AM - 9:00 PM on Friday and Saturday). Price: 18 Euros, but that fluctuates depending on the special exhibits currently being featured. 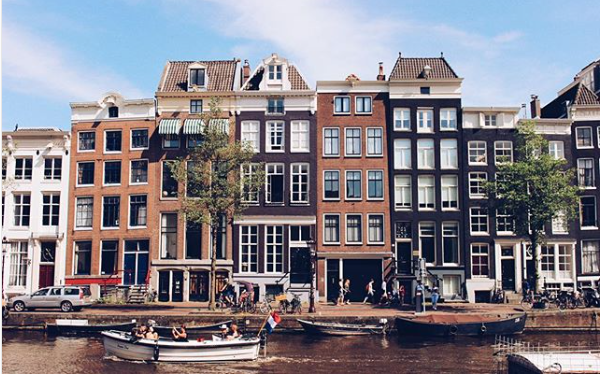 Get the experience of seeing Amsterdam's canals and architecture up close though a canal tour. We've had a handful of ILP volunteers really recommend doing this with Floating Amsterdam tour company, so it's worth looking into! Boats are pretty luxurious and have a cover for rainy days. Included in all tickets is a skipper who can tell you all the tales of this city. Tours are 65-75 minutes long. 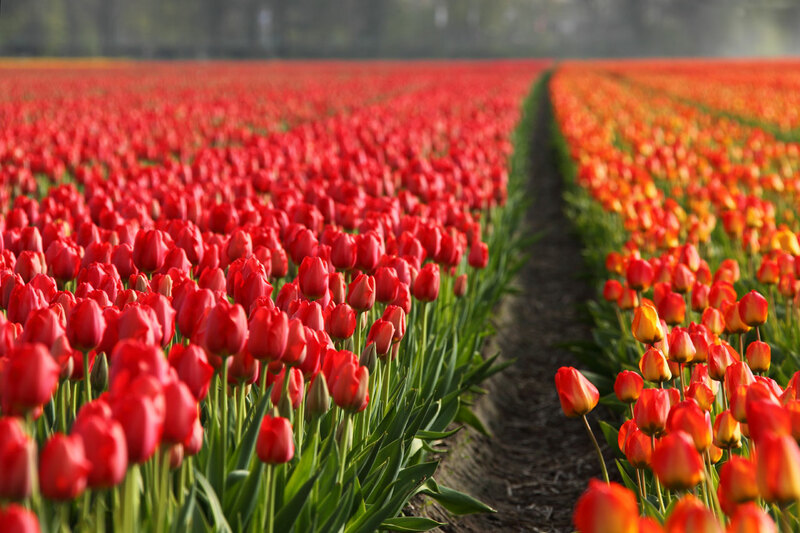 Whenever people think of Dutch culture generally, clogs, windmills, and tulips come to mind. You can easily get to the huge tulip field via the metro (it's a bit far for a bike ride ... but doable depending on the field you choose. Here's info on one of the more famous fields, Keukenhof Gardens. *Head's up — these gorgeous tulips are best seen in March and May. Buying tulips: The best place in Amsterdam to buy tulips are at the world's only floating flower market: Bloemenmarkt. You can buy tulips to bring home and plant your own massive field. You can even get your packages of bulbs stamped so they won't be flagged down by customs. That link above has information about the market's hours and locations. Ready for the best Instagram picture? 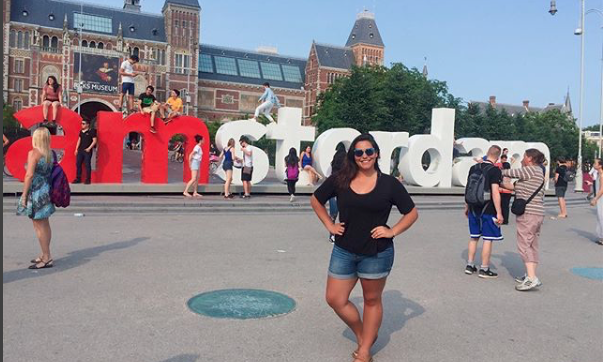 Find the traveling I amsterdam letters that move around the city. Click here to find our where the letters are now. Oh and speaking of classic pictures you have to take, here are more photogenic spots in the city for your Instagram feed. 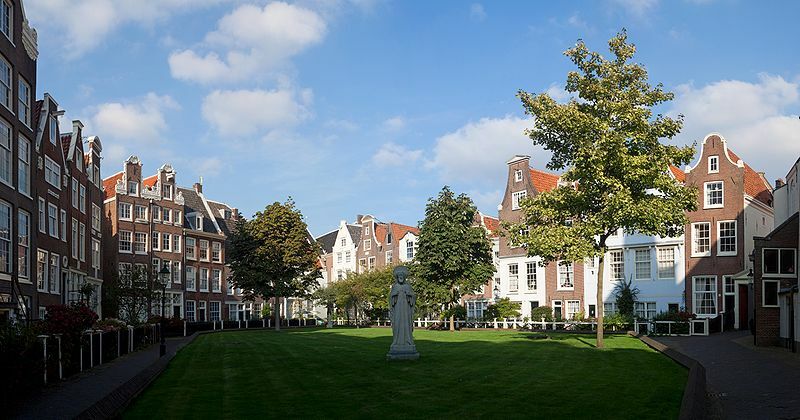 Located in the heart of the city, The Begijnhof is one of Amsterdam's oldest courtyards. This courtyard is also one of the most tranquil places to escape the commotion of the city. This quaint medieval courtyard features historical buildings surrounding a central green. The discreet entrance (via the Begijnensteed, off of the Kalverstraat) is well worth the find. How Do I Even Rent A Bike? Don't worry, it's easy (ILP volunteers do it all of the time). You'll see tons and tons of rental agencies all around Amsterdam (look for the word "“fiet” (bike) in the title) at places like Central Station, the Leidseplein and Dam Square. Plan on paying around 7-10 Euros for a half day (plus a refundable deposit once the bike is returned safely). This article has more specific info on where to find rental agencies if you'd like to take a look. Time permitting, you should also check out a free walking tour in Amsterdam. They are all over Europe (find how to book one, here). Your hostel might also have bike rentals — we have more hostel information below. We've also heard really good things about the Happy Pig Pancake Shop — you'll find a menu full of sweet and savory crepes, along with the classic Amsterdam waffles you're looking for. 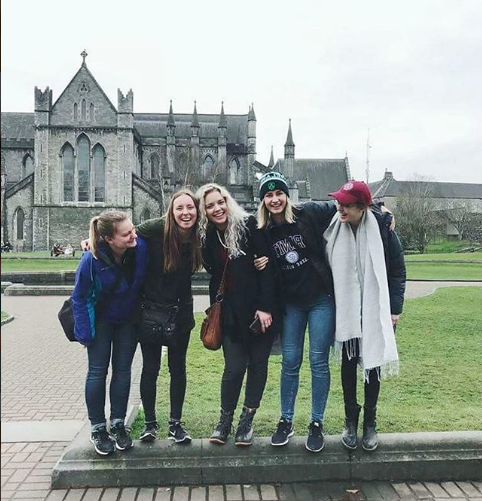 Menninger hostel is an ILP volunteer favorite, complete with bike rental for the day and close to Sloterdijk transport where you can catch a train, tram or bus to wherever you're headed. Shelter Jordan is a Christian Youth Hostel which is super close to favorites, like the Anne Frank House. Another ILP favorite, come for clean beds, great location, and no alcohol, drugs or partying allowed. Flying Pig Hostel is very close to the Van Gogh museum and has superb ratings on Hostel World. Travelers and fellow ILP volunteers love the nice rooms, friendly staff and good location. Ready to travel across Europe? How about living there for a semester? International Language Programs sends volunteers abroad to live in many countries around the world, including many countries in Europe! 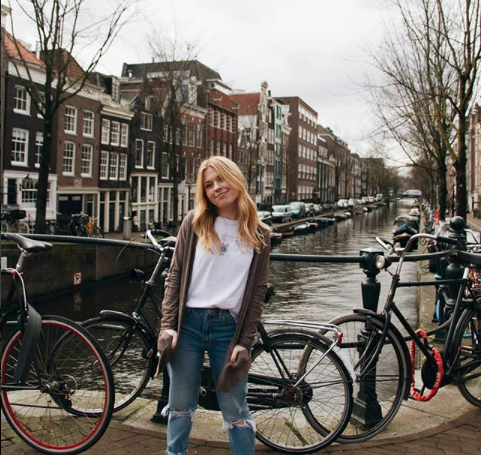 Here's how to pick which European country is right for you ... we know you want to volunteer abroad and have the opportunity to travel!